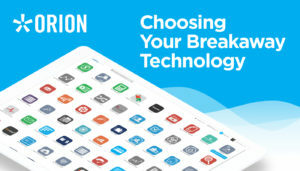 The post How Breakaway Advisors Can Make The Best Technology Choices For Their New Firm appeared first on Orion Advisor Services. The post Integration Now Available With iCapital Network appeared first on Orion Advisor Services. The Orion February 2018 Software Update includes numerous trading improvements, including sleee strategy model equivalents, tactical trading updates, and restrictive plan support. The post How To Use Sleeve Strategy Model Equivalents appeared first on Orion Advisor Services. The post How The LexisNexis Integration Helps You Manage OFAC Compliance appeared first on Orion Advisor Services. In today’s article, we’ve rounded up all the most important highlights from our upcoming February 2018 software update so you can be prepared to use these new enhancements in your firm. The post Highlights from the Orion February 2018 Software Update appeared first on Orion Advisor Services. 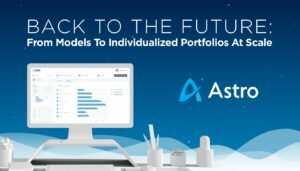 Orion’s new ASTRO tool can help your firm provide clients with portfolios that incorporate tax return optimization and better manage risk simultaneously. The post Back To The Future: From Models To Individualized Portfolios At Scale appeared first on Orion Advisor Services.